in 360i News, Reports & Whitepapers with tags digital, Marketing Leadership Playbook, Miller Coors, Nestle, nielsen, oscar mayer, Procter & Gamble, Reimagine Marketing Both comments and trackbacks are closed. 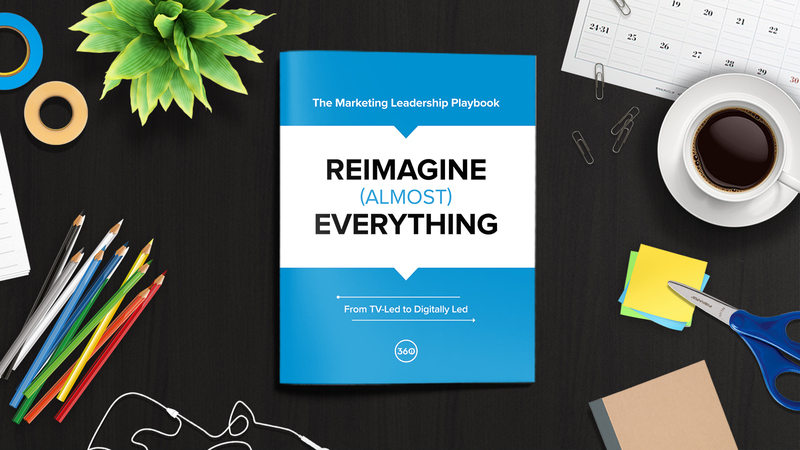 Just released, 360i’s Marketing Leadership Playbook provides guidance to marketers on how they can reimagine their approaches to marketing to advance legacy infrastructure, pave the way for more progressive advertising and move the industry forward in this new era. Rapid advancements in technology and dramatic changes in consumer behavior continue to transform marketing, media and commerce as we know it, creating enormous opportunity for businesses and marketers that put digital at the center. While many marketers want change, knowing how to do so is less obvious. This comprehensive report will help marketers reimagine organization, brand strategy, content, media, reputation management and measurement in this new era. The Playbook includes insights from 360i senior executives, client case studies and guest commentary from marketers who have worked at large brands such as Nestlé, Oscar Mayer, Procter & Gamble, Nielsen and Miller Coors. Download and read the playbook here.